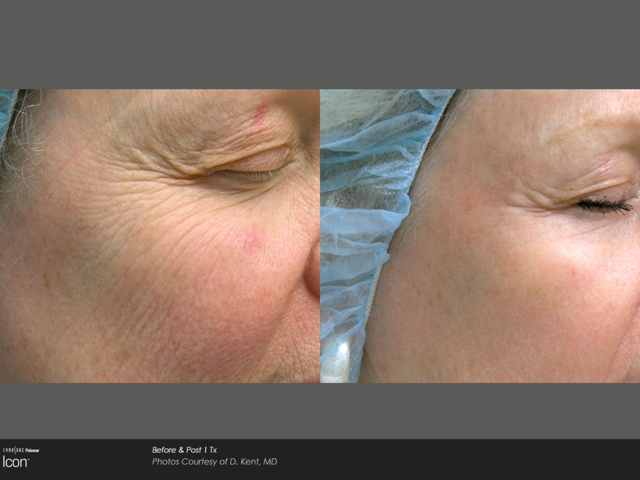 treatment, targeting wrinkles, sun damage and thread veins in one appointment. We love ThreeForMe laser treatment, because your skin stays in tact, while harnessing your body’s ability to rebuild itself. You have minimal downtime and after each appointment your skin will gradually become clearer. It’s a proven method of brightening dull skin. 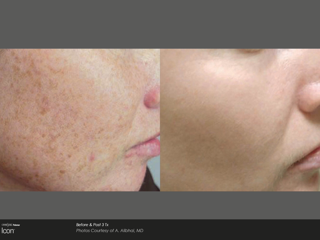 Our laser eliminates blood vessels and pigment reducing spider veins and sun spots, leaving you with even skin tone. The micro beams of our laser stimulates collagen and elastin, which restores skin strength and elasticity. Treatment can feel mildly uncomfortable, leaving the skin pink and slightly puffy after the appointment. We use different cooling methods to cool down your skin to make your treatment more comfortable, including the laser tip iself, a cooling roller or our Zimmer cooler. Your skin colour returns to normal within a day. Patients with sensitive skin, may find the redness lasting a few days. 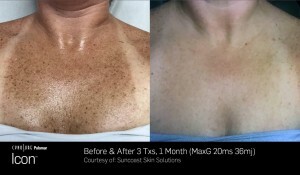 Sun spots and pigmentation will initially be darker after the appointment and will slough off over a period of 1-3 weeks. 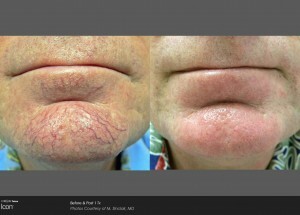 Thread veins disappear over a few appointments. Some patients, due to their medical history may not be suitable for thread vein treatment or may find the treatment is not as effective as it could be. Patients require between 3-5 appointments, spaced 4 weeks apart to achieve optimal results. You will require a maintenance appointment every 4-6 months, depending on the unique quality of your skin. It is vital to take care of your skin in between your ThreeForMe treatments to optimise your results. Your skin is constantly being exposed to UV rays (yes, even on cloudy days) and pollution, so it’s important to use a good skin care range and a mineral sunblock on a daily basis. 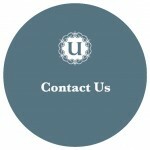 You should continually see an improvement after each treatment. Brown spots should go away in 1-3 weeks. Overall results should improve over 6 months as your skin naturally responds to treatment.